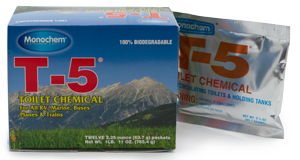 T-5 Toilet Chemical — #1 Best Seller for 55+ Years! 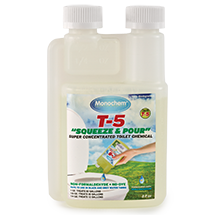 T-5 blue powder toilet chemical has been used to neutralize waste odors in recirculating and portable toilets for 55+ years. 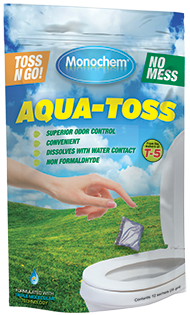 This formula has consistently provided safe and effective odor control. 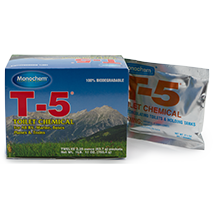 T-5 non-formaldehyde powder is packaged in a premeasured, moisture resistant foil packet. 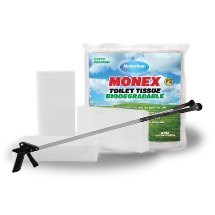 Formulated specifically for high traffic and heavily used toilets. 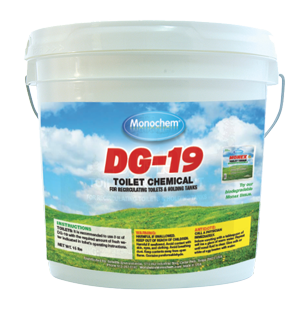 DG-19 has been widely used in the Aviation industry and State and National Parks. 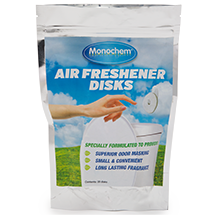 Powerfully effective in neutralizing odors with the added benefit of improving air quality by introducing a pleasant perfumed fragrance. Harmless to toilet parts and holding tanks. 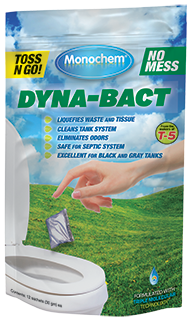 We are proud to introduce Dyna Bact™ – A revolutionary environmentally-friendly deodorizing packet that employs Bioneutral-One technology™. 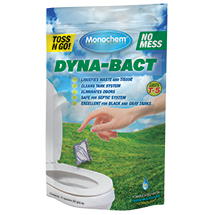 Dyna Bact™ incorporates a combination of specifically selected bacteria that work synergistically together with a complex group of enzymes.